Bubble Splash Mania – an addiction you can’t quit!Tap and slideyour finger to connect similar colored dots (mini balls) as fast asyou can this adaptive reaction based puzzle game puts your reflexesto the test, as you try to get all of the similar dots connectedwith minimum moves and time. But be careful - as the gameprogresses, it’ll get less and less easy and the game will increasethe challenge.Splash Mania is a deceptively simple game thatbecomes more challenging and fun the more you play. The goal issimple, climb the leader-boards by connecting same-colored dotsvertically and horizontally. Stockpile dots along the way for morepoints and boosts. The more points you’ll be able to get will allowyou to unlock many more dot types themes, like emoticons,dinosaurs, butterflies and more!Splash Mania is part of the googleplay store top genre games and is now available on Android phonesand tablets!Main features:• FREE to play for life• CONNECT one dotto another,• ADORABLE fun, and thoughtful game design in thisbeautiful game about connecting• ENJOY beautiful minimalisticdesign with relaxing game music and fun sound• CHALLENGE yourfriends to a by getting more points and see yourself goes abovethem in the leader-boards.• PLAY a board then pass to a friend foran ultimate one on one showdownWith this ALL-NEW, ALL-FREEdot-matching game! Connect the dots to beat each level!The newversion add google play service leader-board and achievement, youcan login with your google account and submit your best score.Tips* Long links of similar colored dots give more extra time.Jointhe Splash Mania family today! A nasty internet virus just infiltrated your network disabling yourconnection to the outside world. beat the virus by reversing thedamage as fast as possible! Let your inner geek come out In thisthis time sensitive yet very fun and addicting puzzle where youwill need to rotate networking cables to link and connect to thebackup switch as fast as you can - the clock is ticking. Fromsimple to simply impossible, you can set the pace and the challengelevel your heart is set on, whether you are in the mood for acoffee break game, or passing lunch time in a more fun way. A wordof caution though—this isn't your everyday flow scenario, orCrystalux fancy sparkles, this is about standing up for what youbelieve in. Playing something that can make you better at playinggames and a never ending quest for a high score that will leave youwanting more! IT was never this exciting! Hours of fun, hundreds ofpuzzling variations: This is a game for those who wish to leavetheir world behind! Test your luck and skills in this super challenging Lucky Blackjack21 casino game!Are you an risky player? It’s time to get seriousand put real luck to test going all in, this is a pure “do or die”goal betting everything you have in your pocket. Let your luck playthe role and bust down the dealer to win some heavy virtual moneythis winter with Lucky Blackjack 21.The free Lucky Blackjack 21 isperfectly designed for all betting lovers that likes the rush ofhitting the next card. win in seconds!Features:• Play BIG and WinMassive amounts of Chips!• Follows real casino blackjack bettingstrategies • Beat the dealer by doubling down the bet money• Allreal life Black Jack features available including Hit, Deal, Standor Double down• Unlimited gaming - players can reset the amount ofchips unlimited times• Progress in the game relies on your skillsand abilities• Easy to understand but tough to master• Real toughplayer v.s dealer game playGame play:The game offers a professionallevel betting environment to players who are interested in learningthe real tricks of beating the dealer in Black Jack casinodeals.Set your own deals, take stand or hit cards to score 21 ornear 21 to bust down the dealer. A few busts will result incomplete winning of Black Jack on part of the player. Beat thedealer by playing smart and working with different cards of thegame. Players can also select up to 8 decks in the game. The highlyaddictive Lucky Blackjack 21 game is free to download and play.Download now and challenge your friends to beat the dealer andscore higher than you. Rotate the 4 birds (dots) in the center ofthescreen and quickly choose the right colored bird to catchthefalling balls.Reach achievement others can't and compete with worldwideplayersfor the highest score on the leader-boards.Four Dots Birds Style takes advantage of the Moto "Less ismore"with a simple futuristic interface, sharp sounds and highqualitygraphics and design.The intuitive touch interface created for a simplified rotationofthe 4 birds (dots) and even lets you play with both hands.Not only the game is so fun and addictive, challenge andspeedincreases over time and even improve hand-to-eye coordinationwhileproviding you hours of entertainment with greatchallenges!Let the games begin! There isn't a person on this planet who hasn't discover his secretlove to cute funny birds… we are no different! :)Presenting old andnew Bubble Shooter puzzle lovers the cutest game for android phonesand tablets – Bird Shoot and Pop (now in High Definition aswell).Become Kenny, the forest's most trusted bird leader and joinoperation "Birds Vs Claws" attack to protect all forest's birdnests against Mad Cat's attack.The rules are simple:After alreadyrecruiting the finest cutest forest bird warriors, use thedisguised bird nest Cannon to confuse Mad Cat by accurately aiming,shooting and grouping 3 or more fellow birds which will cause themto pop and disorient Mad Cat and scare him off the forest.We canonly wish you good luck as the challenge increases from level tolevel!Birds Bubble Shooter Features:• Brand new custom made Birdtheme HD graphics • Advanced feature for choosing of the next colorbird to shoot.• More than 500+ challenging levels and a specialArcade mode• Revolutionary flawless game engine• Internationalcompetition to be on top of bird bubble shooter's globalleader-board• Collect achievements • Ability to Resume game fromlast point you left it always.• Simple share button to invite yourfriends to playMake your iPhone friends jealous as this game canonly be played only on any type of an android device.Every singleshare, review and feedback's is being read are greatly appreciated!:)Enjoy! "Creativity is just connecting things". Steve Jobs. Connecting DotsPuzzle Game: Minimalistic & Elegantly designed Game which letsyou think out of the box and sharpen your mind. The Goal is toconnect the same color dots until the entire board is filled withbeautiful color lines. The challenge increases gradually withharder levels & new twists like bridges between the flow. -THRILLING LEVELS Over a 1,000 elegantly designed Levels whichpeople of all ages can enjoy for FREE. - DAILY CHALLENGES ExcitingNEW challenges are offered DAILY. Try to solve these in theshortest possible time. See where you stand in rankings againstyour friends and globally. - TOURNAMENTS Time Limited Tournamentswhich you can play to compete against the World and your Friends.Huge Rewards are waiting for the winners at the end of Tournaments.- PLAY WITH FRIENDS Playing with Friends is always FUN: Login withFacebook & Compete with your friends. - FEATURES • Minimalistic& Elegantly designed Game. • Check-in every day to earn moreDAILY REWARDS. • Send GIFTS to you friends to help them solvedifficult levels. • Use "Hints" to solve a difficult level. EachHint connects two matching colors. • Complete Achievements to gainHuge Rewards. • Multiple Themes to choose from and play in yourfavorite environment. • Music adds fun to the whole gamingexperience. • Privacy Settings to keep your game Data Protected andSafe. So let's smile & celebrate the colors of life with KNOTS- JOIN US ON FACEBOOK https://web.facebook.com/IBEXGS/ - FOLLOW USON TWITTER https://twitter.com/KnotsGameApp - FOLLOW US ONINSTAGRAM https://www.instagram.com/knotsgameapp/ - DON’T FORGET TORATE US Send us your suggestions and feedback as we are alwayslooking to add new levels and features! So what are you waitingfor? Download KNOTS for Free and PLAY Now! Enjoy, KNOTS TEAM. Blob Connect: an addictive free matchingpuzzle game for children and adults.Simply connect 3 or more dots on the board and clear them. Try tomake longer chains of dots/blobs to get more points.Play this challenging match game with 135 amazing puzzles of threedifferent types, and many types of boosters.In some levels you need to play until you reach a certain score.Enjoy other levels with special gray squares which need to becleared. Catch the diamond in later game levels. Also crosses whichblock the way of dots/blobs need to be crushed! Hours ofentertainment guaranteed with this wonderful free puzzle game!Play, use your brain, and use the blobs to beat your friends!Blob Connect Features:- Play three different level types: achieve a certain score, clearall gray squares or catch the diamond- sweet simple sound effects, boosters, fun animations- Google Games achievements, high scores and challenge your googlegames friends on the level map- Use offline on any Android phone or tablet- Share screenshot directly to Facebook or other social app- Making long chains of dots gives you a free blaster. Blasters areawesome, and clear whole rows of dots at a time! So try to connectchains of the same color and make as long lines as possible to getthe most points and more free blasters.Link the most blobs and win this game! Link Dots is a game where you have to match colors with a line tocreate a flow or a pipe. 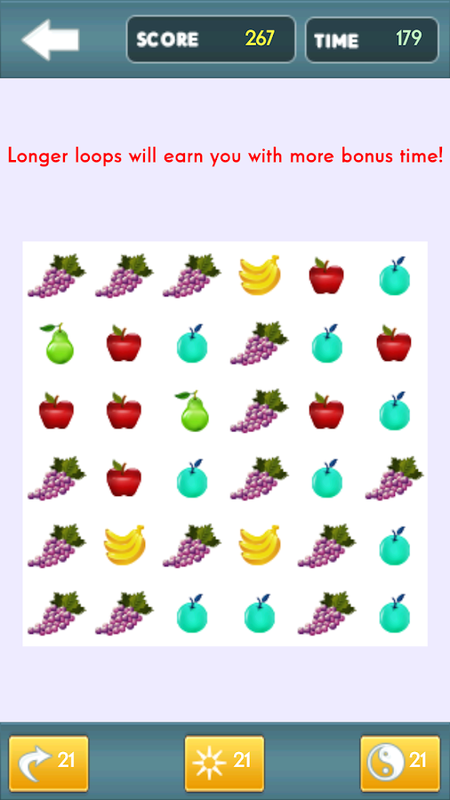 Pair all dots with the same colour andmake sure to cover the entire board to solve each level. 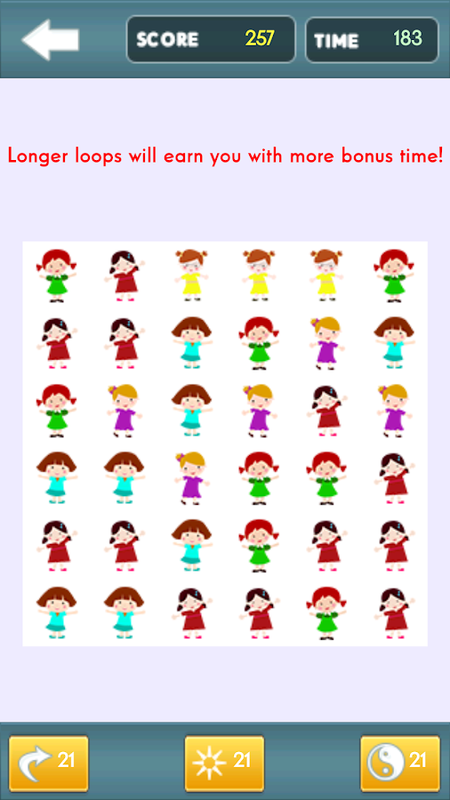 A puzzlegame for you and your children, it will not be a waste of time. Itallows you to improve your analytical skills and perception andskill. Link dots is an addictive yet simple puzzle game, where youneed to connect dots with a pipe like line. The principle issimple, just connect the dots with the same color to complete thelevel and move on to another. Be careful when you draw a flow, notto cross other flows, or they will be cut! Play through thousandsof levels. Link dots is easy to learn and control, but can bechallenging as you advance in this flow game. Features: • Differentpackages, even tablet package. 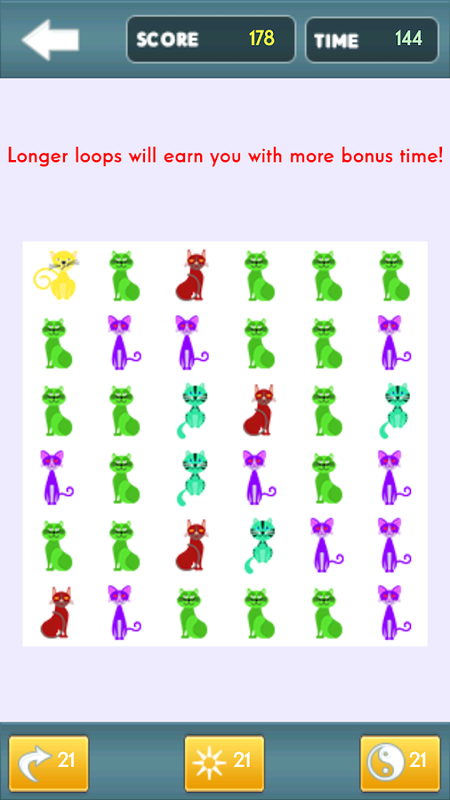 • Funny games with over 1100 freepuzzle games • Cool free joining games you can play from yourAndroid phone or tablet • Wide range of difficulty settings - from5x5 grid to 14x14 grid. Each for his own challenge. • Easy tocontrol, fun to play. • Addicting game to match puzle and obtain apipeflow with many Funbrain within these best free games. 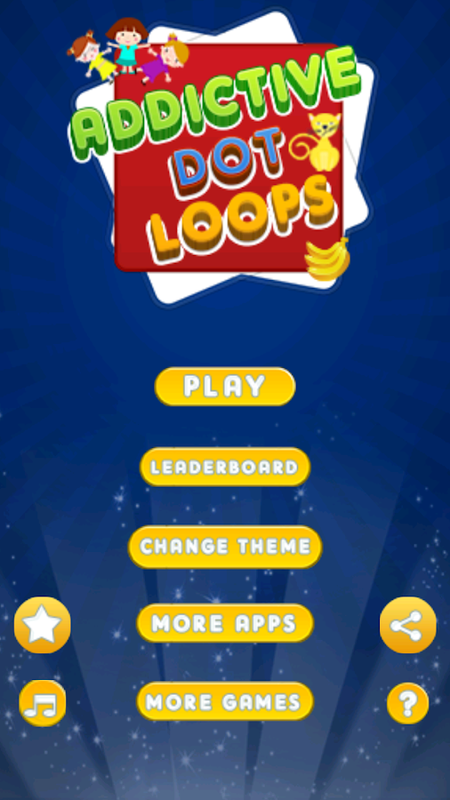 •Suitable for Gamesfree Funbrain and development strategies • Changetags Candy, ball or even pizza! Instead of connecting the dotsconnect play the ball and play puzzle games pizza! • Advance inrank as you solve more puzzles • Use Hints to ease your playing.Get free hints watching videos. • Control sound and other aspectsfrom the settings menu • Great for all ages! Link dots is awonderful pipe or flow type puzzle app for all ages. Enjoy a simpleyet challenging and engaging experience. free to play on Googleplay store! Playing is easy: First, select a package to beginplaying. the starter package is recommended for those who are newto connect the lines or flows game type. Then, select the firstlevel of the pack and starts to connect the dots. you need to linkdots of the same color with a single line. (lines and dots)However, make sure you create the line in a way that will notprevent connecting other dots with lines as well. When you completeconnecting all pairs (draw lines, connect the dots or connect thedots), you have completed the level! well done! Link dots is fullof options to pick from, from easy play to brain twisting puzzles.simply select your preferred package and start playing. You willenjoy this app from the first time you pick it up and it will keepyou busy for endless hours whenever you have few minutes to kill.Play hundreds of free levels or fight the clock time trial mode likTetrix. dots game is a way of playing that goes from very casual todownright frantic. The difficulty is up to you. Try free movementand learn to "manage the plumbing!" with pipeflow, Connect FreeBreakfast and Connect the dots. For the competitive players, thereare also leaderboards available - beat the leaders to become thechampion! Have fun and thanks for your support! If you'd like toget the next generation of flow type games, try our LINK DOTSpuzzle line games, flow free connecting games. A number pipe linepuzzle for even more light brain challenge with line drawing gamesthe same concept of tetrix game or flow game. It is the best freejoining games. Please check out! 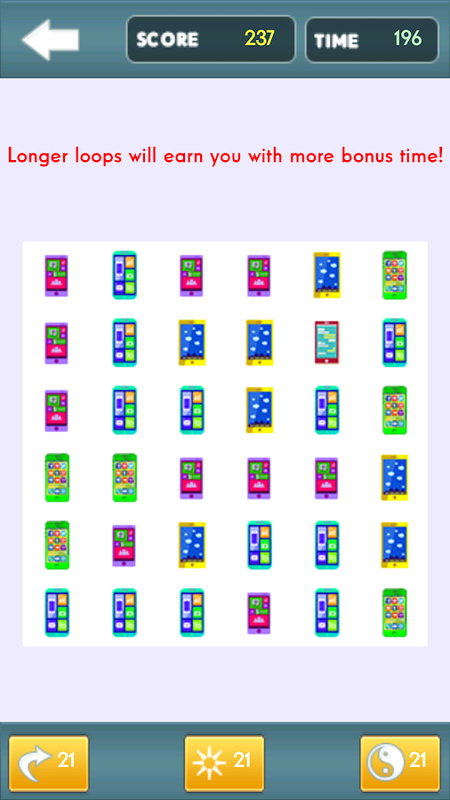 our new brain twisting puzzle gameone of the best free games connect 3 or more dots to make a flowline with line drawing. its the next level in connect the dotsgames! check it out, its free! 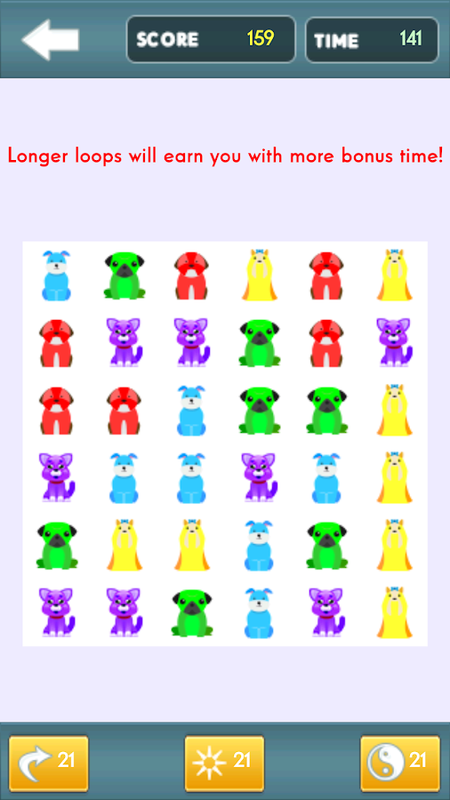 try the top free games of connectingdots; matching colors; linking dots; dots; link dots is free and noneed for internet. Dots Sync is a modern transport-puzzle. Move a synchronized Dotssliding in various directions with a levels of progressivedifficulty that will make you think in the solutions. Enjoy an newdesign with simple and addictive gameplay, without ADs,microtransactions or ranking of scores. GamePlay: move asynchronized green and red colors Dots across the rails as stoppingthe movement on the nodes to activate all Goals. There are manyprogressive obstacles that will make ever more challenging puzzles:> Most varied lines directions, straight, inclined and circular.>Keys: Unlock blocked lines to solve challenges. > PushButton: Unlock paths after the Dot is over it. > Bomb: Clearsthe goals already won after the blast. > Lock: Hold the Dot, butcan free it through the unlock platform. > Teleport: Send theDot to the starting position.